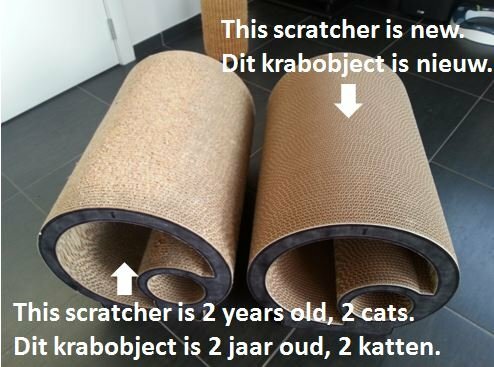 Home INFO: How durable are cardboard scratchers? INFO: How durable are cardboard scratchers? How durable are cardboard scratchers? Scratching furniture in cardboard are more durable than you think. How durable is dependent on the type of cardboard: firm or soft cardboard? All scratching furniture in our collection is made of strong cardboard. This is the most durable. There is also scratching furniture in soft cardboard on the market. You can recognise them by the fact that you can dent that cardboard easily. These are just as much fun for your cat, but need to be replaced fast. 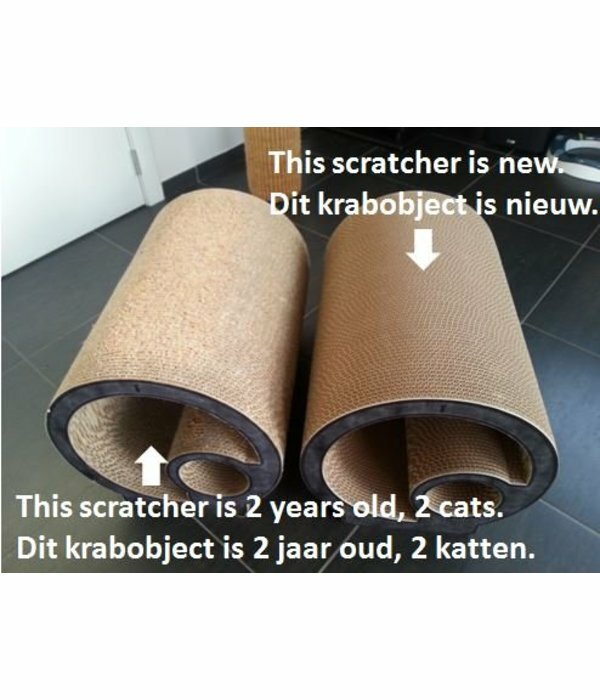 How long will the cardboard scratcher last? - Number of scratching objects / facilities in your home. For indood cats 3 to 5 is a good guideline, always placed along the walking paths. - The size of the cardboard object. A smaller object is worn out faster. - The reversibility of the cardboard object. If the object is reversible, you can turn it as one side is worn. 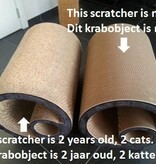 Most cardboard scratchers in our collection are reversible. - Number of cats: obviously a cardboard scratcher wears faster it used by several cats. - Nails clipped? 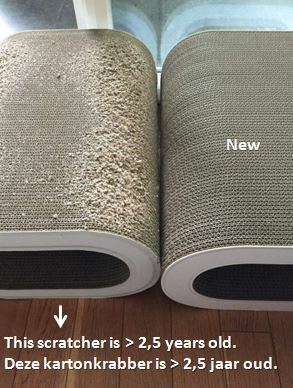 Your scratching furniture will last much longer. 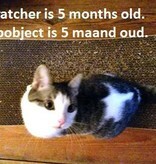 - Type of cat(s): insecure cats scratch more. - Relationship of the cats: cats that don't get along very well, will scratch more to confirm their territory. - Also... your interpretation of 'worn' plays a role. 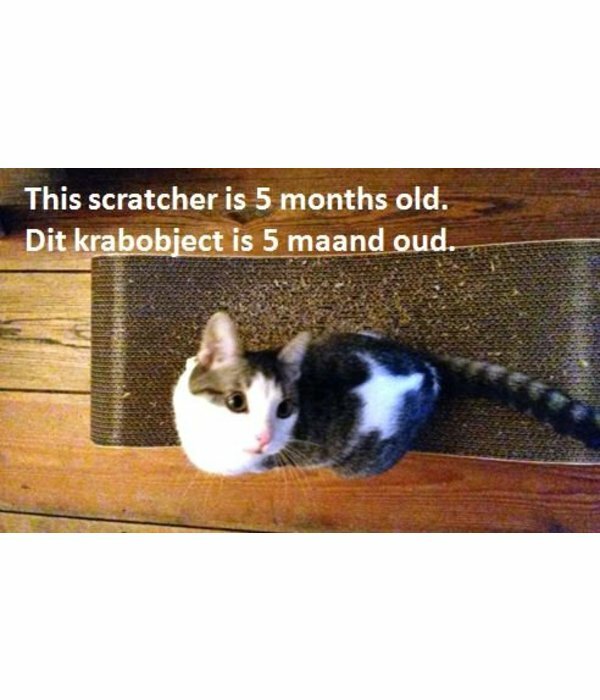 It is not because the cardboard scratcher looks used that he is not still a good scratcher for your cat. - The Tronc model, with 2 cats who had several scratching spots in the house and their nails were cut regularly, had to be replaced after 2.5 years. 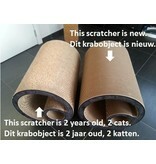 -Does the cardboard scratcher look worn out and you want to replace him, but your cat can still use it to scratch? Give him a 2nd life! => Put him in a different location along a walkway. A less conspicuous place, such as in a hallway or bedroom, for example. Your cat then has an extra scratching spot. - Does your cat eat board? Not many cats do, but there are always exceptions. 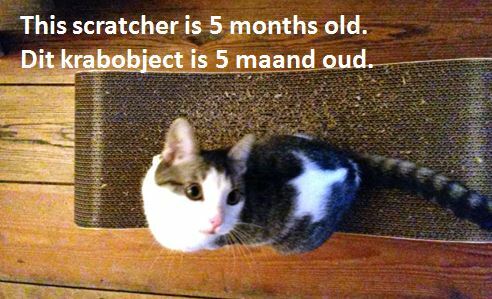 In that case a cardboard scratcher is not suitable for your cat. All cardboard scratchers are recyclable, therefore environmentally friendly.